Songs - TOMORROW'S OUR DAY; TRANSCONTINENTAL RAILROAD; THE EAGLE HAS LANDED; DAISY BELL (A BICYCLE BUILT FOR TWO); HAPPY BIRTHDAY, AMERICA! ; SKIP TO MY LOU; I WILL MISS YOU; SUMMERTIME FUN; PRIMO SECONDO; FOLLOW ME AROUND THE ROOM; TWO WHEEL BIKE; PUMPERNICKEL POLKA; DA VINCI'S WHIRLYGIGUE; ALL IS WELL. 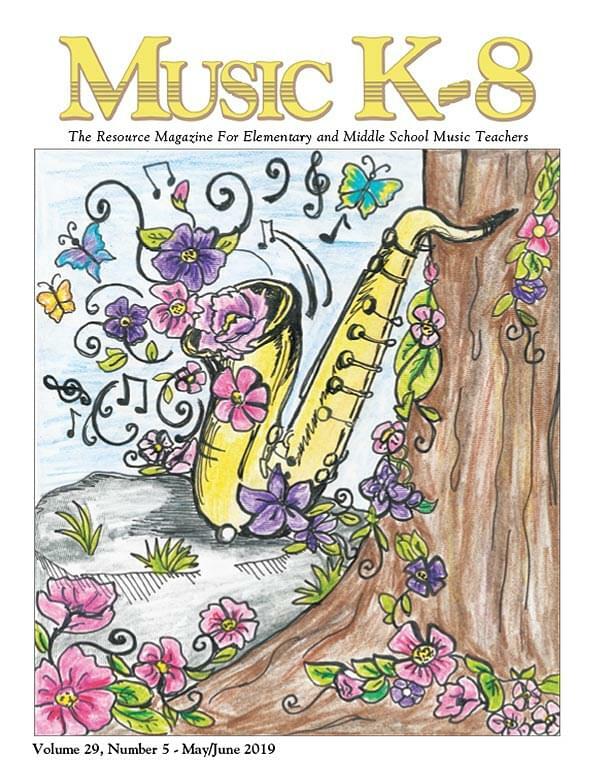 Articles - Cover Contest Results, Network, Finalists, Honorable Mentions, About the Music in this Issue, Photo Journal, and more!